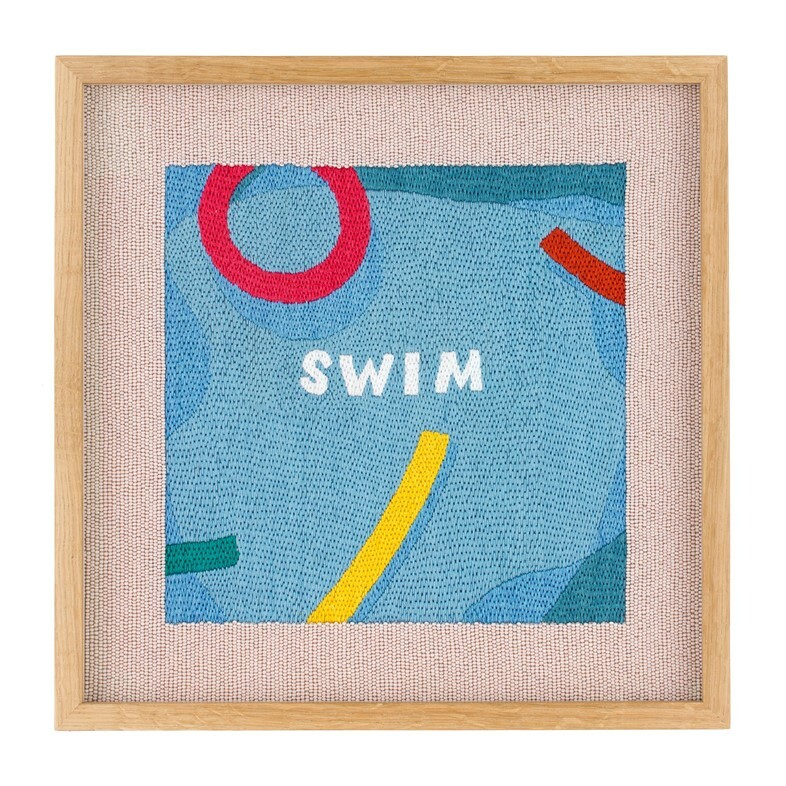 Artist Rose Blake’s vibrant new artworks, presented as a series entitled SING SWIM OK MOON, are as compelling as they are intricate. 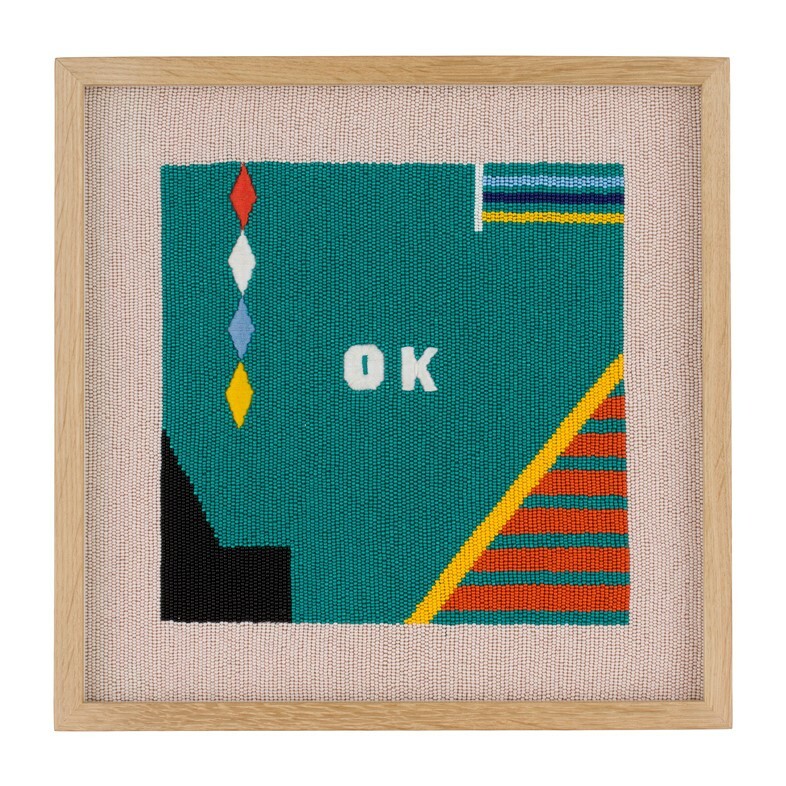 Comprised of pleasing colour palettes and satisfying silhouettes, each artwork is made up of detailed embroidery using miniscule glass beads and thread. On close inspection, the unique texture of the pictures comes from this beadwork, and affords the designs a hazy quality like that of a summer memory. It was Blake’s travels in Mumbai that inspired the series’ title; the presence of ‘Horn Ok Please’ on vehicles in India became the basis for SING SWIM OK MOON, and the collection of work speaks to the “everyday rituals that provide us with a sense of security amidst the chaos of life”, the artist explains. The rituals here are particularly summery; an expanse of beadwork in a white and blue checked pattern evokes the glistening surface of a swimming pool, complete with a red diving board and a scorching orange surface surrounding it; a brilliant peacock stands against an equally vivid background of paradise pink; and a calming sky is rendered in deep blue, complete with a crescent moon and stars. 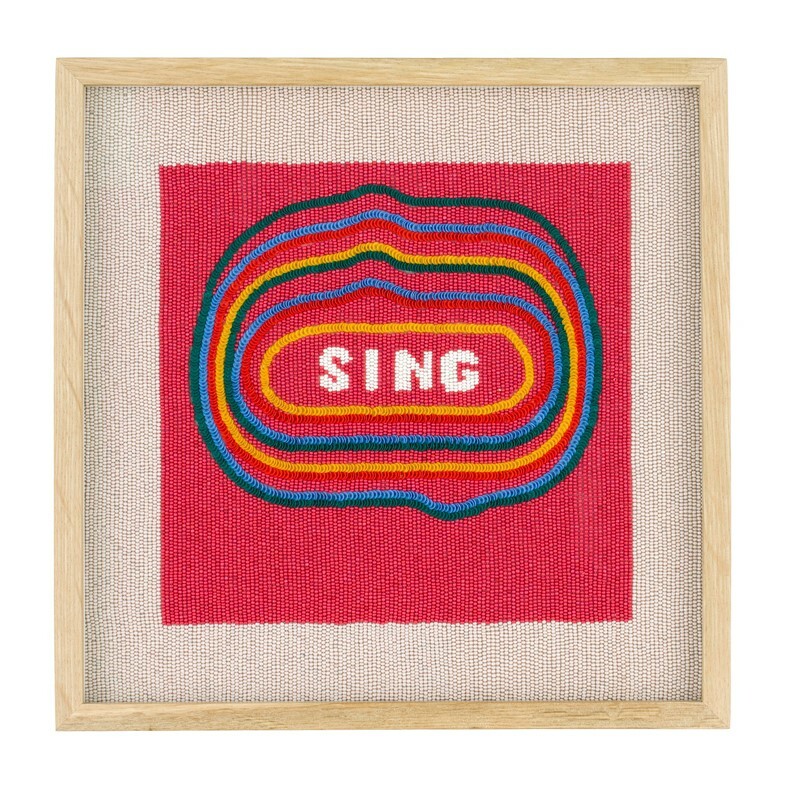 The embroidered words in the centre of each piece add to the sense of ritual that Blake highlights, evocative of how one might while away the days during the hottest months of the year. 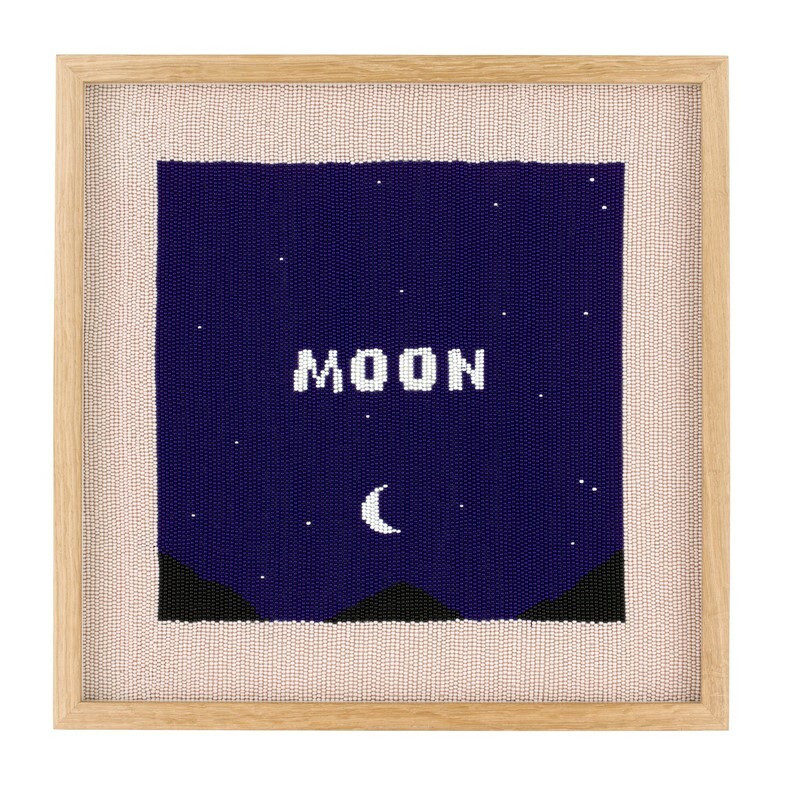 Whether there’s repose on the horizon soon or your escape is of the imaginary kind, a look through SING SWIM OK MOON makes for a very happy Monday indeed.